Choosing the “best” vaporizer for you can be a pretty challenging process. I faced the same issue after getting my medical marijuana card and started looking for my first desktop vaporizer. I had certain requirements in mind such as that the vaporizer can be used for both herbs and oils and it was also important for it to fit my budget. I spent a lot of time on the internet looking for answers. In this article I am going to share the results of my research on the 7 best desktop vaporizers for marijuana. I believe that this will help you make an informed “right” decision in choosing the best desktop vaporizer for you. 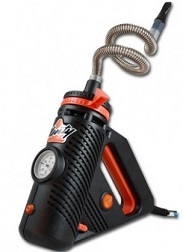 This German made vaporizer, made by Storz & Bickel, has been around for about 10 years. It’s one of the oldest vaporizers on the market. The fact that it’s been around so long is a testament to its quality. This vaporizer stands out thanks to its high quality of vapor. The Volcano Classic Vaporizer utilizes a balloon bag system. These balloons are capable of storing vapor for up to 8 hours. It comes with 5 balloon bags. Each of these will last you between 50 and 100 uses. You’ll only need to buy extra balloons after about 500 uses, which is pretty neat. The device employs a dial for the temperature settings, which enables you to select one of nine temperature settings. 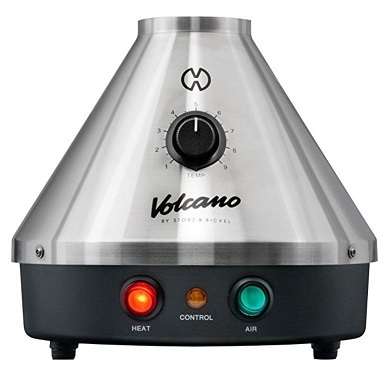 You can use the Volcano Classic Vaporizer for medical marijuana herbs as well as oils/CBD oils and concentrates. It’s easy to use and produces a high quality vapor that has great taste. It comes with a 3 year warranty and costs $479. Perhaps the flaws are the high price and the fact that it takes up to 3 minutes to heat. Some users also complained of a high noise while filling the balloons. Despite its high price, it’s still a product worth the investment. It’ll give you several years of excellent quality vapor, fulfill your herbs as well as concentrates needs, and give you up to 500 uses before you have to buy extra balloon bags. You may notice that this is the second desktop vaporizer made by Storz & Bickel on our list, the first being the Volcano vaporizer. The German company certainly knows how to make desktop vaporizers. The Plenty Vaporizer can be used to smoke medical marijuana herbs and wax. It uses stainless steel cooling, which sets it apart from other whip based vaporizers that use silicone whips. As for temperature regulation, you can use the dial on the device to select your desired temperature between 266 and 395 degrees Fahrenheit. The device’s double helix heating system provides high yield vaporization. One great feature about this product is its auto switch off feature. If you’re someone who tends to leave the stove on, or you keep wondering about leaving your vaporizer on every time you leave the house, then this feature will put your mind at ease. The vaporizer automatically switches itself off after being idle for a short period of time. What makes the Plenty Vaporizer stand out is its unique design. Many users have likened it to a power tool. This might bother some people who like things to look a certain way. But, if your main concern is functionality, then you’ll enjoy this design. The design makes it one of the most portable desktop vaporizers on the market. The heat up time is about 3 minutes, which seems slow in comparison to some other vaporizers listed in this review. The device costs about $250, which is a tad expensive. One of the main issues some people who have used this vaporizer reported is that it can get too hot, necessitating the needs to be held while vaping. The warranty is 3 years. The Herbalizer Vaporizer, made in the US, is one of the most multi-functional vaporizers in the world right now. It’s also one of the most expensive as it costs about $600. You can use it to smoke marijuana herbs, oils/CBD oils, and concentrates with no problem. There are four ways to use this device. You have the traditional balloon bag and whip systems, the Glass Stream roller attachment and freestyle. We already know all about the balloon bag and whip systems. So let’s talk about what’s different here. By purchasing the Glass Stream roller attachment, which is sold separately, you can inhale directly through the glass tube. As for the freestyle feature, this allows the device to release the vapor directly into the environment enabling you to enjoy it with company you may have. You can use the LCD screen to adjust the temperature as high as 445 degrees Fahrenheit. It also has a memory system, which will remember your temperature setting the next time you turn it on. For an intense experience, raise the temperature to over 330. If you want an uplifting and light experience then choose a temperature between 290 and 330 degrees. 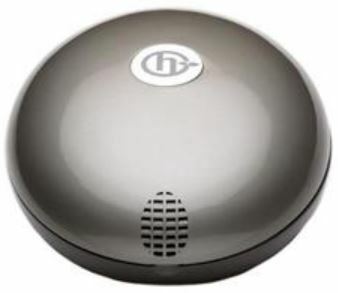 Despite all of its features the Herbalizer Vaporizer is still lacking in several aspects. First, the Glass Stream roller attachment is sold separately. Second, the device overall isn’t made of the highest quality material which could be a problem. Lastly, it’s just too expensive. The warranty here is only 2 years. Da Buddha is a desktop vaporizer made by 7th Floor. It’s a company based in the United States. Therefore, you’re getting a local product, which is as you would expect of high quality. What makes its vaporizing experience so special is its ceramic heating and glass-on-glass elements. 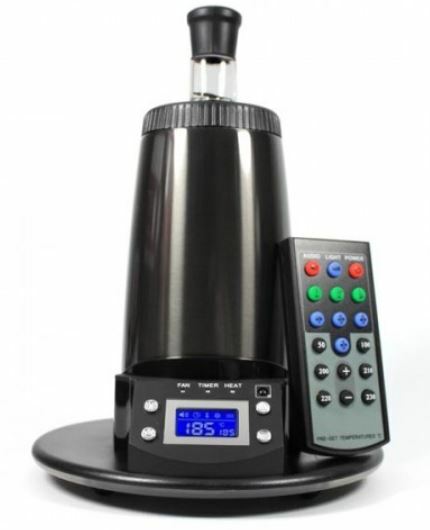 This is a vaporizer that you can use to smoke medical marijuana herbs, but not waxes, oils, or concentrates. Unlike Volcano, Da Buddha employs a whip style system. Unlike most whip style vaporizers that have small heating chambers, Da Buddha has an extra wide chamber, making it one of the most unique whip style vaporizers out there. The vaporizer can also reach the adjusted heating temperature in less than 2 minutes, which is shorter than Volcano’s 3 minutes. Temperature adjustment isn’t hard. All you have to do is use the knob present on the front of the cylindrical vaporizer. If you’re looking for a vaporizer with a digital temperature adjustment setting then Volcano and Da Buddha aren’t the ones for you. For its excellent quality, this vaporizer is available at just only $189, which is a steal in today’s market. It also provides hands free vaping thanks to its ground glass hands free feature. It’s also pretty portable as it comes with a padded storage bag. So you can pack it with you wherever you go. No more vacations without your much needed vaporizer. Basically this is a device that produces great quality vapor, is relatively cheap, easy to use, has hands free vaping, and is portable. Perhaps what’s lacking here is a balloon bag system. Also, not being able to use it to vape marijuana oils and concentrates can put some people off. The device comes with a 3 year warranty, which you’re unlikely to need thanks to its excellent build. Just note that the warranty doesn’t cover any of the glass components. So be extra careful with them. 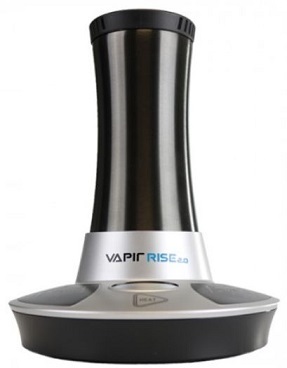 Vapir Rise Vaporizer is one of the top vaporizers that money can buy. Vapir has been on the market for a long time. The company has other successful vaporizers such as the NO2 and One 5.0. Clearly they have the recipe for making excellent desktop vaporizers. Let’s take a look at the several great features that come with the Vapir Rise. First of all you can use it to smoke medical marijuana herbs and oils/CBD oils and concentrates. If you like mixing things up, you can definitely do that. The device is also really easy to use straight out of the box. It comes with a dual functionality system. So it has both a balloon bag system and a whip system. This separates it from Volcano and Da Buddha, which have a single system each. This is the first vaporizer we are reviewing that has a digital screen and digital temperature adjustment. It’s also the fastest vaporizer discussed so far that can reach the adjusted temperature in less than a minute. It doesn’t matter where you’re from or what temperature unit you’re used to, as it can view temperatures both in Fahrenheit and Celsius based on your preference. Things don’t become disappointing when we talk about its build. It’s made of mainly stainless steel, which has the benefit of not affecting the taste of the vapor. The ceramic heating element and HEPA air filter ensure healthy clean vapor. What I personally like here is that the device works in almost absolute silence. The Vapir Rise vaporizer comes with a 2 year warranty, which is a year less than most of its counterparts. However, you’re not likely to need it anyway because of its high quality. It costs about $250, which some might consider expensive. But is totally reasonable, considering you can use it to vape herbs and concentrates and that the device has dual functionality. 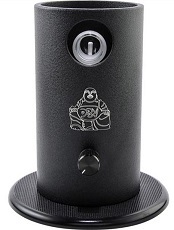 The Arizer Extreme Q Vaporizer is another that is included in our field of competition. Let’s take a quick look at whether or not it can hold its own against these other great vaporizers . One thing that users love about this device is that it has dual functionality: a whip system and a balloon bag system. The whip system is special as the heating is aimed at the glass bowl, away from the whip. This preserves the whip and enables it last longer. The whip and mouthpiece are both made of glass. This is a plus as glass has no influence on the taste of vapor. So you know you’re tasting the real thing. The ceramic element extracts the maximum flavor from herbs too. So if taste is a big part of your vaping experience, this product should be at the top of your list. Now let’s take a look at the balloon bag system. The multiple fan speeds are the main contributor to what makes it great. If you want thick vapor then combine a slow fan speed with a high temperature. But this will burn through your herbs faster. If you want to take it slow, you should rely on faster fan speeds. If your main concern is filling the balloon bags quickly, then use fast fan speeds with low temperatures. Perhaps the one area where this device is lacking is the fact that it can’t be used to smoke marijuana oils and concentrates. If you prefer herb, then this shouldn’t be an issue for you. However, if you prefer oils then you might want to think twice before purchasing this device. The Arizer Extreme Q vaporizer has an LCD screen that shows both the device’s current temperature and the preset temperature. You can also use the remote control that comes with the device to control it. You can adjust temperature, fan speed, light, and session length, all using the remote control. None of the other vaporizers in our review come with a remote control. However nothing is perfect. The Arizer Extreme Q has a few downsides. The first is that some users report that the glass components can become too hot. Some users also report that the balloons leak because the valves aren’t integrated into their design. There’s a lifelong warranty on the ceramic components and a 3 year warranty on the rest of the device. However, the glass components aren’t included in the warranty. For $170 this is certainly a desktop vaporizer worth considering. The Vapor Cup Vaporizer stands out for its very stealthy design. It looks like an ordinary coffee cup that you would take to work. If you want to enjoy vaping outdoors, or on your way to the supermarket, then this is a great choice for you. This one is only for the herb fans as it can’t be used to smoke oils or concentrates. The temperature can be adjusted anywhere between 200 and 400 degrees Fahrenheit using the screen. The device also has a short heat up time, which adds to its portability. The battery will last you up to 2 hours, which should be enough if you’re taking it with you outdoors. Naturally there’s no balloon bag system here and the device has only a one year warranty. It can be considered cheap though at a $200. I present below a comparative chart where you will find a short summery of the seven most popular desktop vaporizers’ features reviewed here. I will update this chart every time I run across a new high quality desktop vaporizer on the market. To sum it up, Volcano and Herbalizer are considered the most diverse with Vapir Rise closely behind. If you’re looking for portability, then you should be looking to Plenty Vaporizer and Vapor Cup. If you’re someone who would like to be able to use your vaporizer to smoke marijuana waxes and oils and not just herbs, then Da Buddha, Arizer Extreme Q, and Vapor Cup should be excluded from your list. 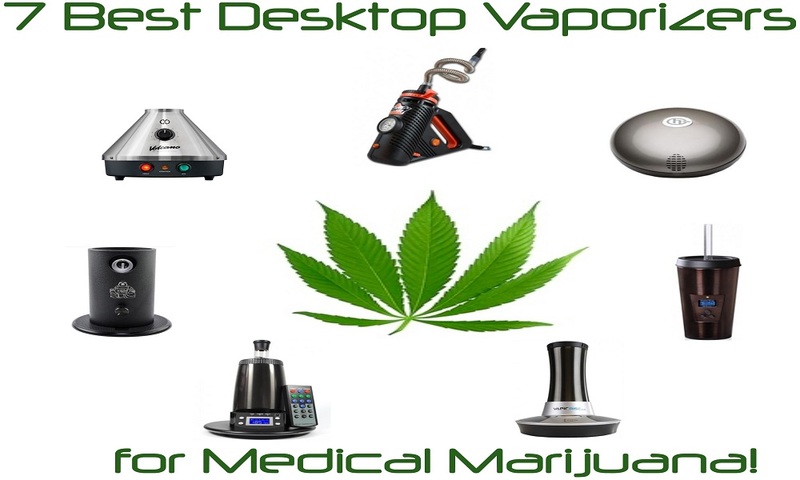 Thank you for reading our article “7 Best Desktop Vaporizers for Medical Marijuana”. We would love to hear about your experience with different desktop vaporizers. Please leave comments below. I am sure others will appreciate and benefit from your experience. Hi John, I am looking for a decent vaporizer under 200. Any advice would be appreciated. Jacob..I would recommend checking Da Buddha and Arizer Extreme. Both are pretty good desktop vaporizers. Both of them provide a very good vaping experience. Arizer has a balloon system but less portable than Da Buddha though. If you like using wax or oils, you might consider looking at Vapir Rizer ( extra 40$ though). It has a balloon system and portable.